Benvenuto! Join us for the most fun a Gondolier will ever have (outside of Venice)! US Gondola Nationals 2018 will be hosted in the heart of Providence, Rhode Island by La Gondola Providence from November 9-11th. An opportunity to meet fellow Gondoliers from across the nation, and participate in single and tandem races along the Providence River Walk. Preview our event schedule, and take a look at past winners. Amazing chance to row during Providence's WaterFire event! All photography provided by Greg Mohr. Providence's popular WaterFires bring visitors from across the nation and around the world to experience these events. 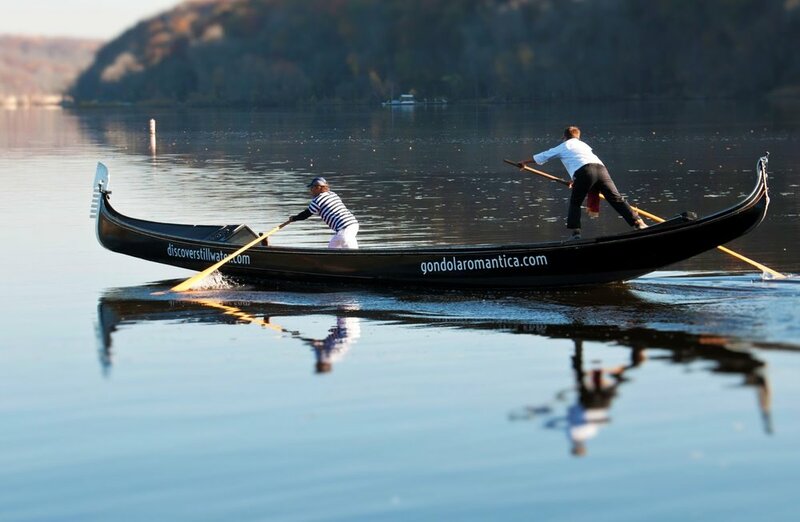 We are excited to offer this opportunity to row in the incredible ambiance to all visiting gondoliers who are interested in doing so. Come and row in an atmosphere unlike any other in the world.